Champagne. Good company. And a celebration of self-worth and gratitude. Turning thirty is a special, momentous occasion and a wonderful excuse to indulge in something exciting, fun and maybe a little different. It’s difficult to pick when you are spoiled for choice, so for your convenience, I’ve rounded up some suggestions to help make your day just a dash more special. If you prefer an intimate yet elegant space, Blackbird is a versatile venue. Located on Eagle Street Pier and right on the Brisbane River, it offers a variety of private function rooms (our favourite is the Champagne Room), accommodating dinner parties from 12 guests all the way to the party of the year with your favourites, at 400. Whether you prefer fizz, finger food or fine dining, it offers a variety of packages to suit all budgets. For something that’s light and airy, upbeat and savvy, there is of course Cru Bar on the iconic James Street precinct in Fortitude Valley. With bright glass tabletops and chandeliers, you’ll be left some hard decisions for your beverage of choice with their award-winning wine bar boasting over 650 choices. With canapés as an option, or a set menu for around $75 per person or under, they offer a varied menu of delicious, elegant options. Opulence and drinks of a different sort go hand-in-hand at Bacchus’ High Tea. Located on Grey Street in South Bank, the Bacchus High Tea experience is the perfect intimate affair to celebrate your birthday with the ladies. With fresh-baked scones and a rotating variety of desserts and finger foods, you and the ladies can enjoy tea or coffee (or sparkling) with a setting of beautiful china, oozing with tastefulness. With options from just $40 per person it’s an attractive option too good to resist. 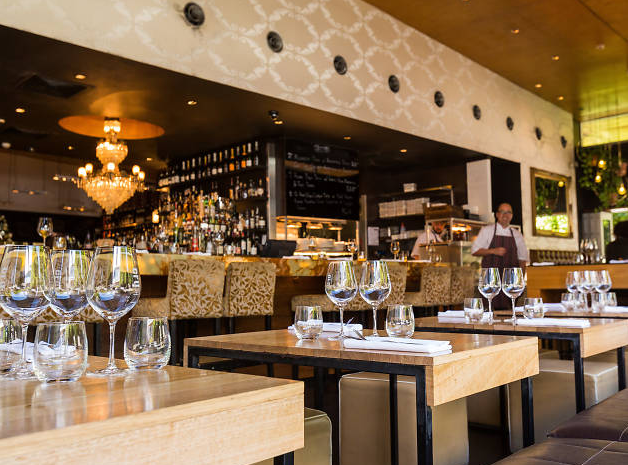 These are three of my favourite and fabulous Brisbane celebration venues, let me know below where you plan to celebrate your thirtieth birthday.